Charles Byrum was appointed to the Principal position at Anderson Early Child Center in July 2013. He served as Assistant Principal at Haywood Middle School for three years. He is a native of Brownsville and a product of Haywood County Schools. 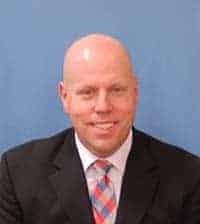 He earned his degree in teaching from the University of Tennessee at Martin as well as a Master of Science in Education Degree with an emphasis in Supervision and Leadership. Mr. Byrum taught at Haywood High School and was the baseball coach there from 2002 to 2004. He was a SPED classroom teacher for three years then a Special Education Consulting Teacher at Covington High School where he served in varied leadership roles. Mr. Byrum and his wife, Allyson, who teaches at Haywood High, have one son, JT. Linda Giles Sanders is a native of Haywood County. She is a graduate of Haywood County High School and earned an Associate degree from Jackson State Community College and a Bachelor of Science degree from The University of Tennessee at Martin. She has also done post graduate studies at Memphis State University and Union University. 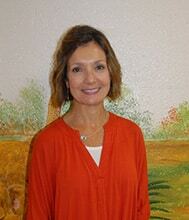 Mrs. Sanders’ education tenure started in 1974, and she has experience as an elementary teacher and literacy coach. Teresa Reece Russell is a native of Haywood County and attended Haywood County Schools K-12. 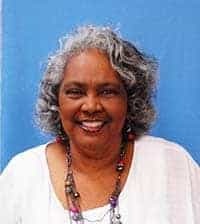 She completed her Associates degree at Jackson State Community College, and her undergraduate work at the Lambuth University. She has her Master’s degree in Supervision and Leadership from University of Memphis. Mrs. Russell began her teaching career as a kindergarten teacher in 1994 and has served in various roles throughout the district. She is excited to be back at Anderson with our youngest students. She is married to Dr. Tom Russell, IV and has three children. Madison and Dannon are both graduates of Haywood High School and Reid will be a student at HHS.